For other uses, see Price (disambiguation). 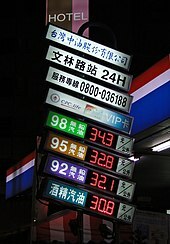 In modern economies, prices are generally expressed in units of some form of currency. (For commodities, they are expressed as currency per unit weight of the commodity, e.g. euros per kilogram or Rands per KG.) Although prices could be quoted as quantities of other goods or services, this sort of barter exchange is rarely seen. Prices are sometimes quoted in terms of vouchers such as trading stamps and air miles. In some circumstances, cigarettes have been used as currency, for example in prisons, in times of hyperinflation, and in some places during World War II. 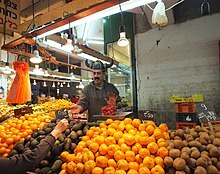 In a black market economy, barter is also relatively common. "Price" sometimes refers to the quantity of payment requested by a seller of goods or services, rather than the eventual payment amount. This requested amount is often called the asking price or selling price, while the actual payment may be called the transaction price or traded price. Likewise, the bid price or buying price is the quantity of payment offered by a buyer of goods or services, although this meaning is more common in asset or financial markets than in consumer markets. 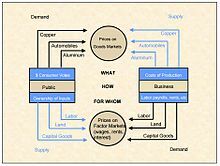 Economic price theory asserts that in a free market economy the market price reflects interaction between supply and demand: the price is set so as to equate the quantity being supplied and that being demanded. In turn these quantities are determined by the marginal utility of the asset to different buyers and to different sellers. Supply and demand, and hence price, may be influenced by other factors, such as government subsidy or manipulation through industry collusion. When a commodity is for sale at multiple locations, the law of one price is generally believed to hold. This essentially states that the cost difference between the locations cannot be greater than that representing shipping, taxes, other distribution costs and more. One solution offered to the paradox of value is through the theory of marginal utility proposed by Carl Menger, one of the founders of the Austrian School of economics. As William Barber put it, human volition, the human subject, was "brought to the centre of the stage" by marginalist economics, as a bargaining tool. Neoclassical economists sought to clarify choices open to producers and consumers in market situations, and thus "fears that cleavages in the economic structure might be unbridgeable could be suppressed". Without denying the applicability of the Austrian theory of value as subjective only, within certain contexts of price behavior, the Polish economist Oskar Lange felt it was necessary to attempt a serious integration of the insights of classical political economy with neo-classical economics. This would then result in a much more realistic theory of price and of real behavior in response to prices. Marginalist theory lacked anything like a theory of the social framework of real market functioning, and criticism sparked off by the capital controversy initiated by Piero Sraffa revealed that most of the foundational tenets of the marginalist theory of value either reduced to tautologies, or that the theory was true only if counter-factual conditions applied. One insight often ignored in the debates about price theory is something that businessmen are keenly aware of: in different markets, prices may not function according to the same principles except in some very abstract (and therefore not very useful) sense. From the classical political economists to Michal Kalecki it was known that prices for industrial goods behaved differently from prices for agricultural goods, but this idea could be extended further to other broad classes of goods and services. Marxists assert that value derives from the volume of socially necessary labour time exerted in the creation of an object. This value does not relate to price in a simple manner, and the difficulty of the conversion of the mass of values into the actual prices is known as the transformation problem. However, many recent Marxists deny that any problem exists. Marx was not concerned with proving that prices derive from values. In fact, he admonished the other classical political economists (like Ricardo and Smith) for trying to make this proof. Rather, for Marx, price equals the cost of production (capital-cost and labor-costs) plus the average rate of profit. So if the average rate of profit (return on capital investment) is 22% then prices would reflect cost-of-production plus 22%. The perception that there is a transformation problem in Marx stems from the injection of Walrasian equilibrium theory into Marxism where there is no such thing as equilibrium. Price is commonly confused with the notion of cost of production, as in "I paid a high cost for buying my new plasma television"; but technically these are different concepts. Price is what a buyer pays to acquire products from a seller. Cost of production concerns the seller's expenses (e.g., manufacturing expense) in producing the product being exchanged with a buyer. For marketing organizations seeking to make a profit, the hope is that price will exceed cost of production so that the organization can see financial gain from the transaction. 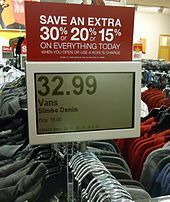 The price of an item is also called the "price point", especially where it refers to stores that set a limited number of price points. For example, Dollar General is a general store or "five and dime" store that sets price points only at even amounts, such as exactly one, two, three, five, or ten dollars (among others). Other stores will have a policy of setting most of their prices ending in 99 cents or pence. Other stores (such as dollar stores, pound stores, euro stores, 100-yen stores, and so forth) only have a single price point ($1, £1, €1, ¥100), though in some cases this price may purchase more than one of some very small items. Basic price is the price a seller gets after removing any taxes paid by a buyer and adding any subsidy the seller gets for selling. Producer price is the amount the producer gets from a buyer for a unit of a good or service produced as output minus any tax, it excludes any transport charges invoiced separately by the producer. Price optimization is the use of mathematical techniques by a company to determine how customers will respond to different prices for its products and services through different channels. ^ Schindler, Robert M. (2012). Pricing Strategies: A Marketing Approach. Thousand Oaks, California: SAGE. pp. 1–3. ISBN 978-1-4129-6474-6. ^ a b Heyne, Paul; Boettke, Peter J.; Prychitko, David L. (2014). The Economic Way of Thinking (13th ed.). Pearson. ISBN 978-0-13-299129-2. ^ Directorate, OECD Statistics. "OECD Glossary of Statistical Terms – Producer's price Definition". George Stigler, Theory of Price. Simon Clarke, Marx, marginalism, and modern sociology: from Adam Smith to Max Weber (London: The Macmillan Press, Ltd, 1982). Makoto Itoh & Costas Lapavitsas, Political Economy of Money and Finance. Pierre Vilar, A history of gold and money. William Barber, A History of Economic Thought. Vianello, F. , “Natural (or Normal) Prices. Some Pointers”, in: Political Economy. Studies in the Surplus Approach, 2, pp. 89–105. Look up price in Wiktionary, the free dictionary. "Price" . Encyclopædia Britannica. 22 (11th ed.). 1911.